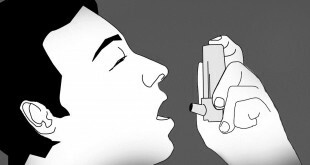 Like most diseases, there are many myths and rumours and old wives’ tales surrounding asthma. Some people think that asthma is contagious. Others believe that asthma is a psychological disease and it’s just in the mind. Some even think that asthma is not serious and one cannot die of asthma. The saddest part about asthma is not it being a chronic condition or causing life-threatening symptoms. The saddest part about asthma is it being misunderstood. That people often have misconception about what it really is and how they can deal with it effectively. Here are the common myths about the disease and the facts that will bust them. Remember that knowing will help a lot in overcoming the difficulties that come with the condition. Here we will clear some of the myths surrounding asthma, based on medical studies and scientific research. Regular use of inhalers are habit-forming and addictive. Inhalers are not habit-forming. Just because you take your inhaler daily does not mean that it is addictive. Do you consider brushing your teeth daily habit-forming? Or having your daily bath? Well in the same way, using inhalers for your asthma is a good habit which will help you achieve good control over asthma. Thus it is a good habit to be addicted to. Inhaled medications, including inhaled corticosteroids are the safest and most effective means to treat asthma. When used at recommended doses for most patients, the benefits of inhaled corticosteroids ( ICS) outweigh the risks. The steroids are NOT the same as the anabolic steroids some athletes use to build muscle. Inhaled corticosteroids do not stop children from reaching their full height. Studies have shown that children using inhaled corticosteroids will reach normal adult height, although it may cause some delays in their growth early on. It is possible that a child who suffers from asthma symptoms regularly may experience stunted growth. This is due to the fact that a sick child will not grow at the same rate as a well child. It is important to work with your child’s doctor and asthma action plan to treat your child’s asthma in the best way. Inhaled medicines are not meant only for severe asthmatics. Asthma is a condition where inflammation of the airways is the hallmark of the disease. Therefore, the best treatment is to use anti-inflammatory drugs and the most effective way it is through inhalation therapy. When you take inhalation therapy, the steroid medicine goes directly through the lungs and has minimum side effects. 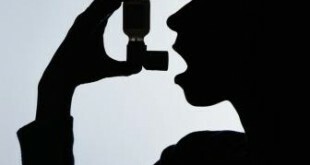 The inhalers are not only meant for those with severe asthma. It is recommended even for those with mild-moderate asthma. 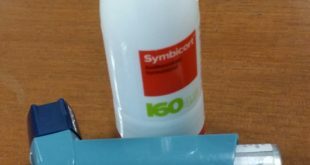 The steroid in your inhalers is safe at recommended dose and very effective treatment for asthma. Inhaled steroid is the first line of therapy for both adults and children with persistent asthma. Treating a child’s asthma flares is better than giving them preventive asthma medication on a regular basis. Treating your child’s asthma on a daily basis, with prescribed medicines, is the safest way to ensure your child’s asthma is stable. If the asthma is stable or well controlled, your child will rarely develop asthma flares/attacks. 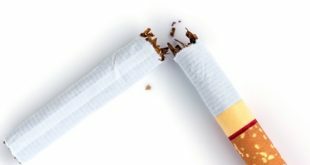 Treating flares as they occur can be dangerous, as an asthma flare can quickly worsen, and may even become life-threatening. Generally, higher dose of steroid entered your systemic blood (given via injection or by mouth) are given during asthma flares/attacks. It won’t cause much problem if taken infrequently but the risk of side effects of systemic steroid is increase with more frequent asthma flares. Steroids make children put on weight. Inhaled steroids have no effect on the appetite so they do not lead to any gain in weight. The use of steroid tablets over a long time (months or years) can increase the appetite and thereby lead to some increase in weight. If you try to stick to your usual eating habits and take regular exercise, you should avoid putting on weight. Long-term use of high-dose steroid tablets can also occasionally lead to fullness of the face (‘moonface’). Your doctor will always try to prescribe the lowest dose of steroids to keep your asthma under control while minimizing the risk of side effects.